In the province of Newfoundland and Labrador, the land connected to the mainland is called Labrador, and the island of Newfoundland. The city’s capital St John’s is a major attraction for its lively culture because of the coastal environment. Due to Boom in Energy and Natural Resources, the country has become a significant economic force in the Canadian landscape. Newfoundland and Labrador Provincial Nominee Program is for the skilled and experienced people targeted by the province may receive a Provincial Nomination Certificate. It will allow the foreign nationals to apply for a permanent residency in Canada. Prospected candidate who will be accepted by the Federal Express Entry immigration selection system would be able to apply for permanent residence in Canada. 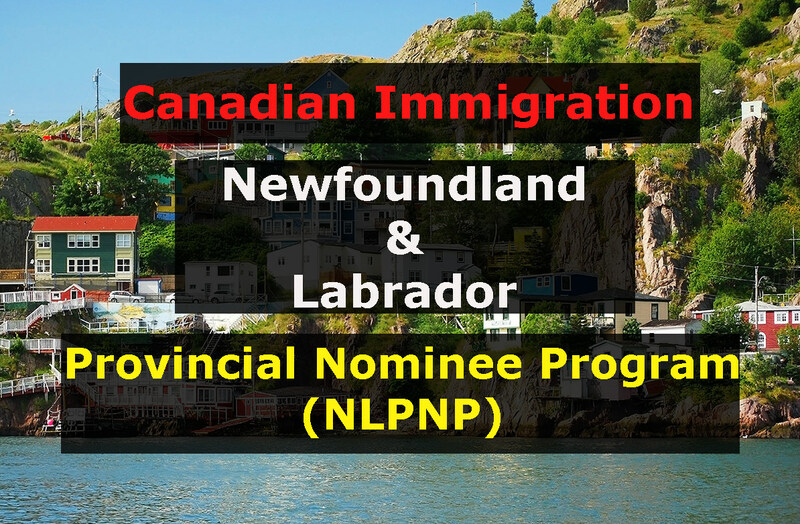 The candidates will fall into the NL express Entry skilled worker category. The province has its own Comprehensive Category System (CCS) through which individuals are nominated. Those, who are nominated, can work a part-time or a full-time job for any Newfoundland and Labrador employer. The Newfoundland and Labrador Provincial Nominee Program accepts those applicants who have received a guaranteed job offer from a Newfoundland and Labrador employer. People living in any country can be eligible for this type of visa. Also, the residents of Canada working in the province can also apply. A document from employer to demonstrate the necessity of the applicant’s particular skill set. To apply for International Graduate Category, a candidate must be a recent graduate of an eligible Canadian post-secondary institution. Also, the candidate must have a Post-Graduate work permit. The NLPNP accepts only those candidates who have a valid job offer from Newfoundland and Labrador employer and must be working in their field of study. Acceptance letter from Immigration, Refugees, and Citizenship Canada (IRCC). A full-time job offers letter from a local employer.